The holidays are very close and everyone has already started looking for their gifts: this is the perfect time to offer a solution to a potential customer, perhaps suggesting a product or service. There are those who have already begun to look for gifts at the different eCommerce sites, and there are even some who expect to receive an advice on what to buy: everyone is more likely to listen and buy in this period, so if help your customers to choose, you may increase your profits! Do not wait too long to send your Holiday email campaigns, in fact everyone is more receptive to promotional messages after Black Friday. In order to help you with this period full of possibilities, we decided to collect 50 subject lines to boost open rate in your Holiday newsletter, all already tested and perfect for the B2B, B2C and non-profit sectors. Surely they will serve you as a starting point to create another Subject lines for the Holiday season! PS: Instead of … you could add the name of your product / service. 3 reasons why you need … this Holiday! Oh! Oh! Oh! Santa Claus is coming! You cannot miss these offers! The temperatures are always going down, like our prices! Have you already sent your letter to Santa? Psst! Do you know how to get a gift from …? 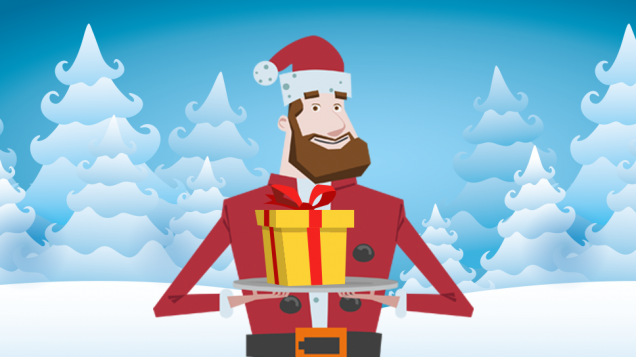 The team of … wishes you Happy Holidays! Holidays are coming and … needs your help! The eMailChef Academy was born, the new blog about email marketing that helps you to create better newsletters and to achieve your goals. Email Marketing Tips for Black Friday: Here is the Checklist!